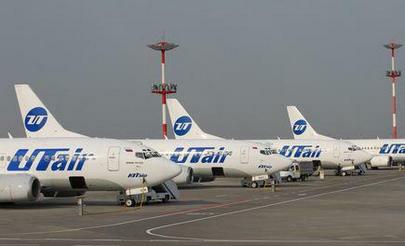 Russia’s fourth-largest airline, UTair and its creditors have settled a plan to restructure the airline’s 43 billion ruble (ca. $663.6 million) debt. According to Vedomosti daily, on November 19 the carrier signed two agreements with a syndicate of 11 banks. The first agreement undermines a syndicated loan for 18.9 billion rubles for the period of seven years, the second one – for 24.1 billion rubles and 12 years. To access the financing the carrier will have to restructure its obligations amounting to 1.5 billion rubles and increase its registered capital by 25 billion rubles, an anonymous source in one of the banks told Vedomosti, noting that the obligations have already been partially restructured, and the process is expected to be completed in the nearest future. The government will allocate up to 9.5 billion rubles in state guarantees to back up the first agreement. Preliminary approval for the allocation was received at the end of October, subject to debt restructuring. Now the government is expected to issue an adequate instruction. According to Evgeniy Elin, deputy Minister for Economic Development, the state guarantees will pave way for a syndicated credit of 19 billion rubles, which may be directed to partial elimination of the debt. The list of eleven financial organizations, which signed agreements with UTair, does not include Alfa-Bank, which settled the debt restructuring question in May through refinancing of the debt estimated at 6.7 billion rubles with two new loans for the periods of 7 to 12 years. The creditors’ goodwill towards the debt-plagued airline may partly be explained by the recent bankruptcy of Russia’s secon largest airline Transaero, industry experts note. In an efforst to increase the operation efficiency UTair has cut its fleet from 115 to 63 aircraft, phasing out excessive capacity, and reduced its route network. UTair’s debt at the end of 3rd quarter 2015 stood at 84.5 billion rubles ($1.3 billion) under the Russian accounting standards.